Chew Sizes Do Matter for Your Dog ! Chew Sizes Do Matter for Your Dogs! Today there are TONS of choices of treats and chews for your four legged partner in crime. Commonly the criteria used to select treats is quickly narrowed down to treats that are “Made in the USA”, “All Natural”, and in some cases only single ingredient. Often that is where the selection process stops. These are PAWSOME attributes to select for; however, there are two other key traits that need to be taken into account: you must consider the size and the shape of the chew. Chews are great for your dog’s oral and mental health! One of the biggest heartbreaks involving pet ownerships are the accidents occurring in loving pet homes. 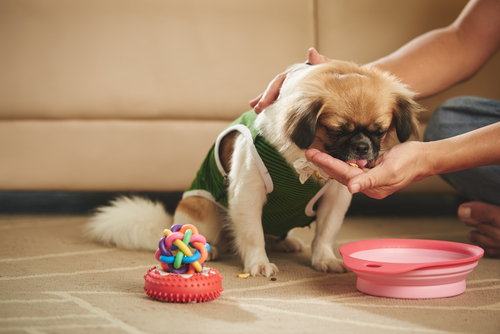 A pet parent that feeds the healthiest dog food, keeps vet records up to date, and carefully selects treats as previously discussed, but does not realize the size and shape in a treat can make all the difference. This miscalculation can increase the risk of an accident that could break a tooth, cause the animal to choke, issues with digestion, and possibly other issues that can lead to a life threatening situation. Not to worry – the right size and shape of chew is easy to figure out! That sort of warning, would make you would think that feeding chews is the absolute least responsible thing a pet parent should be doing. 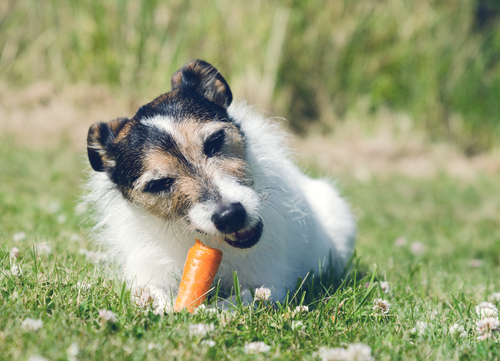 Despite these risks, many vet professionals agree, allowing your dog to chew on a variety of chews is an important natural behavior, for your dog to engage in. In fact, not giving your dog a variety of chews will probably result in your dog finding inappropriate ways to satisfy the chewing instinct. You need to take those final two attributes into account…Size and Shape. 1. Remember to take into account your dog’s LOVE of FOOD! Choking hazards happen when dogs can get so excited that they attempt to swallow the treat whole… savoring a treat is something that is typically lost on our four legged companion. 2. 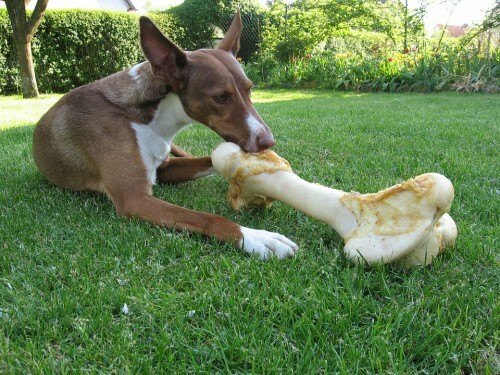 Selecting a bone that is larger than the dog’s mouth so that is impossible for them to wrap their lips around it completely, deterring any attempt to swallow it. 3. A fun shape will make them have to work harder to hold the chew in place and therefor limit their ability to quickly swallow the product. 4. Do you have a small, medium, or large dog? 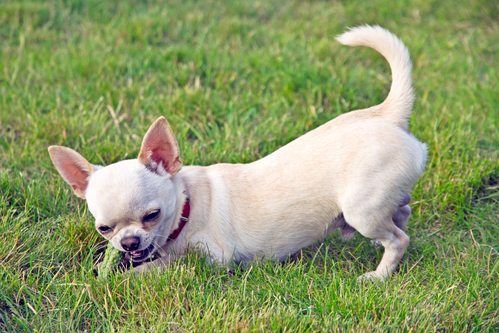 A dog that is viewed as large should not be consumer a chew that is shorter than the length of his nose. 5. Be prepared to throw some away; buy a larger treat for your dog with the thought that you will throw away the last 1-2 inches, to prevent a choking hazard. 6. Finally ALWAYS, ALWAYS, ALWAYS supervise your pet when they are consuming a chew. Just like with everything in life accidents can happen. Being present can make all the difference on the outcome. About the Author: Rebecca Greene is the Product Development Manager for Copper’s Classics, a natural made in the USA pet treat company named after her Irish Setter from her childhood Copper. Rebecca was recently selected as a 2016 Pet Industry Woman of the Year Finalist. Learn more about Copper’s Classics at: www.coppersclassics.com .